If you’ve hooked your PC up to broadband you can save yourself some money by using the Internet connection to make telephone calls. Basically all you’re doing is replacing the data you’d normally send over the connection with a voice signal. One of the benefits of this system is that in general calls are free of charge or at minimum cost. If free phone calls aren’t enough to tempt you then there’s video conferencing and file transfer options as well making the humble telephone seem a bit dated. You don’t actually need a proper phone to make calls over the Internet as you can use the microphone and speakers that most modern PCs are supplied with. The experience will be much better though if you invest in a USB handset or at least a good quality headphone and microphone. There are various networks you can sign-up to in order to make calls. Skype is one of the most popular it offers free calls to others on the Skype network and cheap calls to landline telephone numbers. All you have to do is download the software and choose login details and you are ready to go. You are given a user name by the system and it’s this user name that people will use to contact you on the Skype network. You have to pay extra for features such as a proper telephone number that people on ‘normal’ telephones can call but you can choose your own number from a selection. The Skype software doubles as a phonebook and search tool so you can save all your favourite numbers and search out people on the service. Some of the fringe benefits of the Skype service include the ability to do text chats and video calls between multiple people. So, if you’re looking to make very cheap conference calls between offices or see relatives and friends that live abroad Skype offers a very cheap service. Skype isn’t the only provider though. Sipgate is a very popular system that works much more like a normal phone line. Instead of choosing a user name you select a number. You can choose a number from virtually all the UK dialling codes and even 0845 numbers. In essence the service is much the same as you’d get from BT or other provider, however, international calls are much cheaper and calls to other Sipgate users are free. You can also get a network adaptor for the Sipgate service that means you don’t have to have your PC on and running a specific piece of software to get calls. 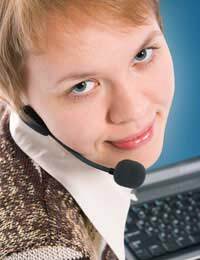 There are a few things you should take into account before jumping wholly aboard the Internet telephone service. In most cases Your PC will need to be switch on all the time and the software running to receive calls. The quality of the connection will depend upon the speed of your connection and volume of traffic on the network. If you’re downloading a large file to your PC at the same time as making a telephone call then there can be problems with the audio. Also, you must be aware that you can’t make emergency 999 calls from most Internet based phone services. The benefits of Internet phones though are really compelling. If you speak to someone regularly and for long periods of time and have a PC and broadband Internet access then you can cut your telephone bill to zero by using software that costs nothing. If you regularly call overseas to business or relatives you can also do this for free. The software is easy to use and requires nothing more than a few minutes to set-up.